NINE BY SAVANNAH MILLER. 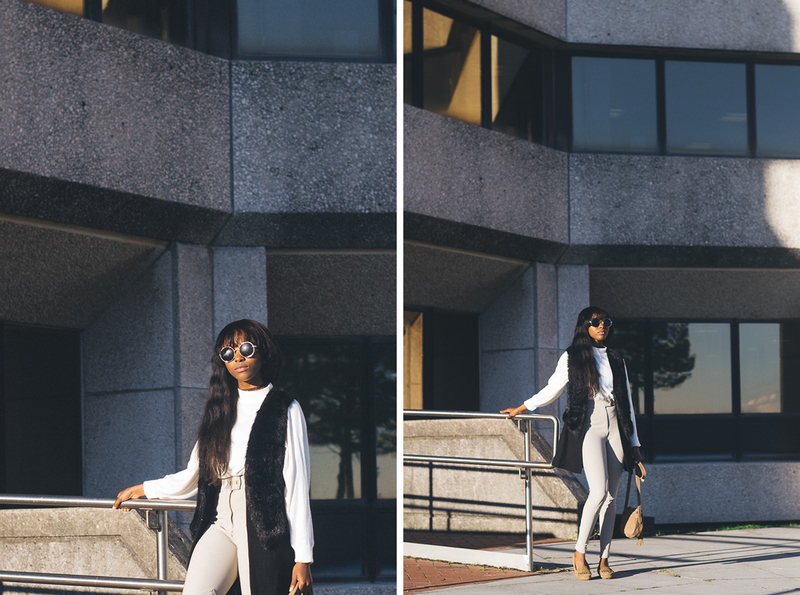 | O. R. R. - Life & Style Journal. This post was supposed to go up on Sunday but I've had a lot on my mind lately; the meaning of life, looking for a second part-time job, uni starting next week and me not being emotionally prepared for it... etc. I'll be fine though. Amen. I got my hands on a few items from Debenhams' new 'Nine' by Savannah Miller collection. I decided to stick with pieces I knew I would get the most wear out off. When I saw this gilet on the Debenhams' website, I knew that it was "THE ONE". 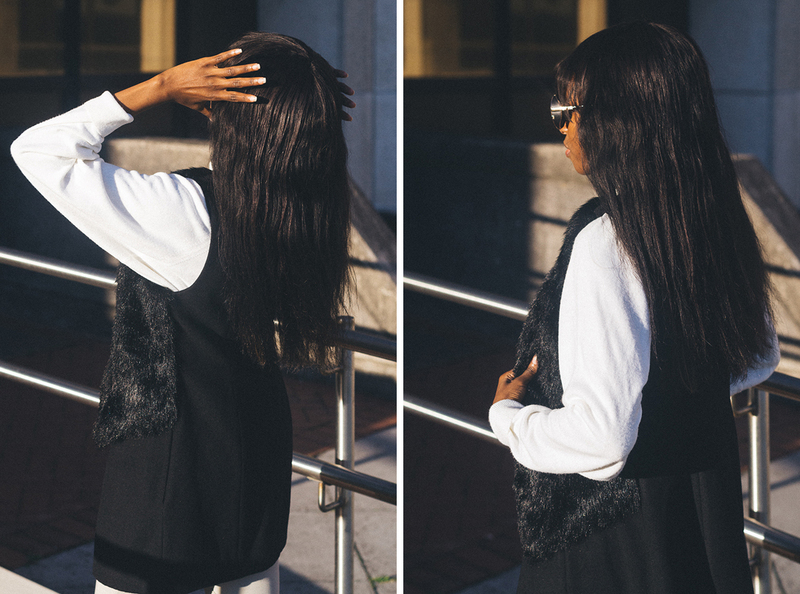 Remember me stating that I needed a black faux fur gilet in this and this post? The gilet I'm wearing here ticks all the boxes. I like the fact that it's double-layered with a normal collarless vest underneath. It's different and I love it. Also I'm really feeling the rubber soles of these loafers. I tend to wear out the soles of my shoes a lot, that's why I prefer to stick with trainers and rubber-soled Dr. Martens shoes as they last longer. The bag, I chose because it matched the shoes. You can find the bag here, the loafers here and the gilet here. 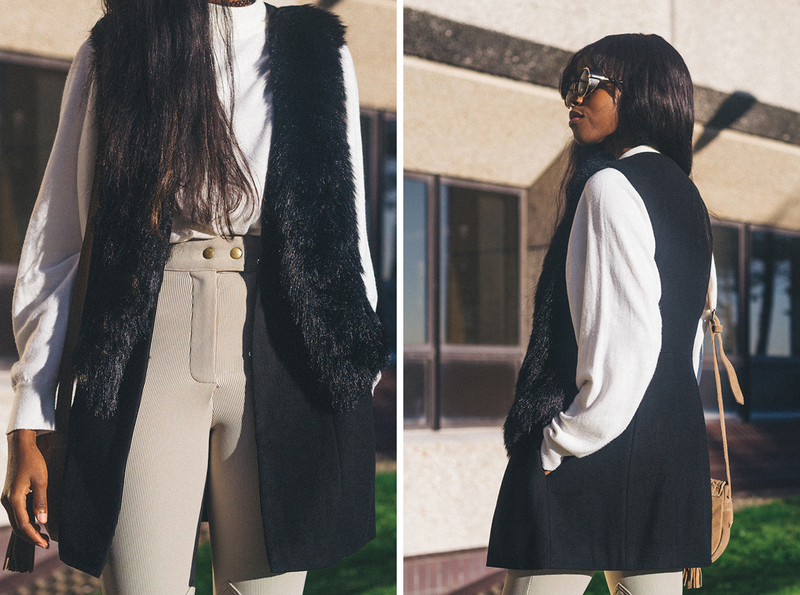 Buy the gilet now and get 10% off! What do you think of the collection? How would you style these items?